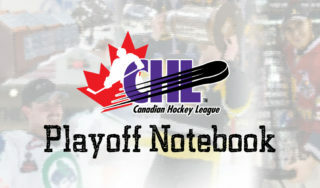 The second round of the Canadian Hockey League playoffs kicks off Friday, with the spotlight shining on the series-opening game between the Saskatoon Blades and Prince Albert Raiders, airing on Sportsnet 360 at 9:00pm ET/6:00pm PT. The eight-game season series between the two sides saw the Raiders come away with six victories, including the final game of the regular season by a 3-1 score in which a two-goal showing by centre Noah Gregor helped push his club into the winner’s circle. 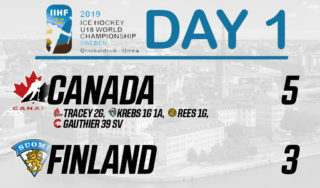 The Raiders then followed up that victory with a four-game sweep of the Red Deer Rebels in the quarter-final that saw six different players conclude the series with at least two goals, including 2019 NHL Draft hopeful Brett Leason, who ranked 17th among North American skaters in Central Scouting’s latest report. Meanwhile, the Blades advanced to the second round after ousting the provincial rival Moose Jaw Warriors in four games, including a 4-3 overtime win in the deciding game that saw right-wing Max Gerlach notch his fifth goal of the postseason. The 21-year-old wrapped up the series with five points and sits tied for the team lead in scoring with draft-eligible centre Kirby Dach, who finished with three goals and two assists as he continued to put on a show for Central Scouting, which ranked him second among North Americans skaters at the midterm. 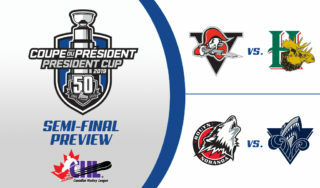 A series win by the Blades would mark the first time the franchise has advanced beyond the semi-final since 1994, while the first-place Raiders, who have their sights set on a Memorial Cup championship, hope to escape the second round for the first time since 2005. 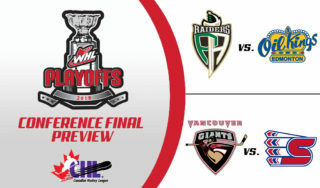 Catch all the action in Game 1 between the Blades and Raiders on Friday at 9:00pm ET/6:00pm PT on Sportsnet 360.